If the Nintendo Switch is your system of choice for shoot 'em up games, you'll be glad to hear another retro one is making a comeback. Johnny Turbo - one of gaming's worst mascots - and now the face of Flying Tiger Entertainment's classic line recently hopped on Twitter to tease another old school Data East title coming to the Nintendo Switch eShop. If you haven't experienced this game before, it's a follow-up to Data East's 1986 arcade game, Darwin 4078. In the sequel, the player controls a ship which can transform into different shapes and be upgraded with weapons and power-ups. As with all quality shmup, the story is about a hostile force invading a planet. Right now, there's no word on when exactly this game will arrive on the Switch eShop. Have you played this title during a previous generation? 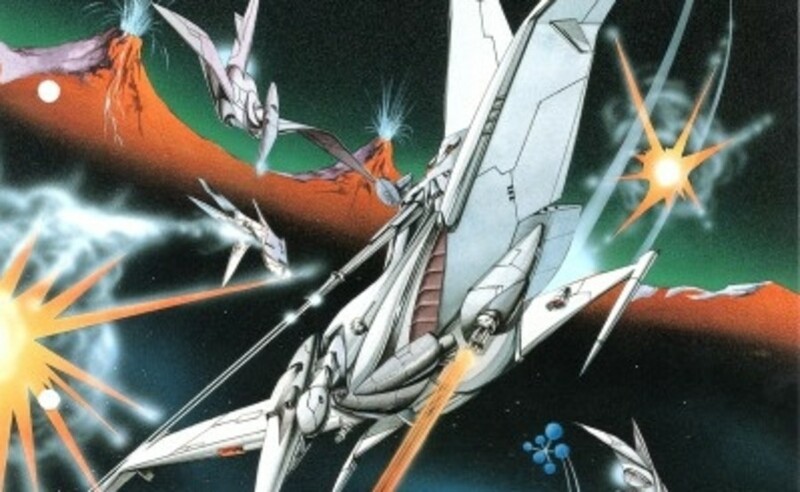 Do you play many shmup on Switch? Tell us below. Could it be "a friendly enemy"? Some of you have never seen an episode of Drag Race and it shows. I don't even know what this show is!!!! @harouhiko Competitive Drag Queen Reality show. Usually, there's at least two queens who hate each other (usually because they have very different styles) before having to work together and coming to respect their differences, going from enemies to frenenemies. Stop trying to make “shmup” happen. It’s not going to happen. Of all the games. What is a 'shmup' heathen? Nice! Don’t recall this one ever being on a home console!! @jrpacman it happened in the 80s dude. Keep up! @NinChocolate Yep, despite their releasing a few games I'm interested in, I have thus far avoided purchasing any of them. What did people think of Heavy Burger?? I really like the games they put out, I just can’t stand the lack of emulation options. If those ever get fixed, I would buy the product. Absolutely terrible releases, they don't listen to customers at all. How hard is it to include a friggin' no-filter option, the option to remap buttons or have vertical orientation for popular tools like the Flipgrip? The stretched and fuzzy screenshots that are included in their PR say it all unfortunately. Johnny Turbo, keeping it real — SUPER real. This game looks awful compared to those already available on Switch. I guess i'll have to buy this for the hilarious title alone. @wazlon yeah it really does, my favorites are the Psyiko games which to be fair are from 10 years later but still this doesn’t look on par with the 80’s era games from Arcade archives.